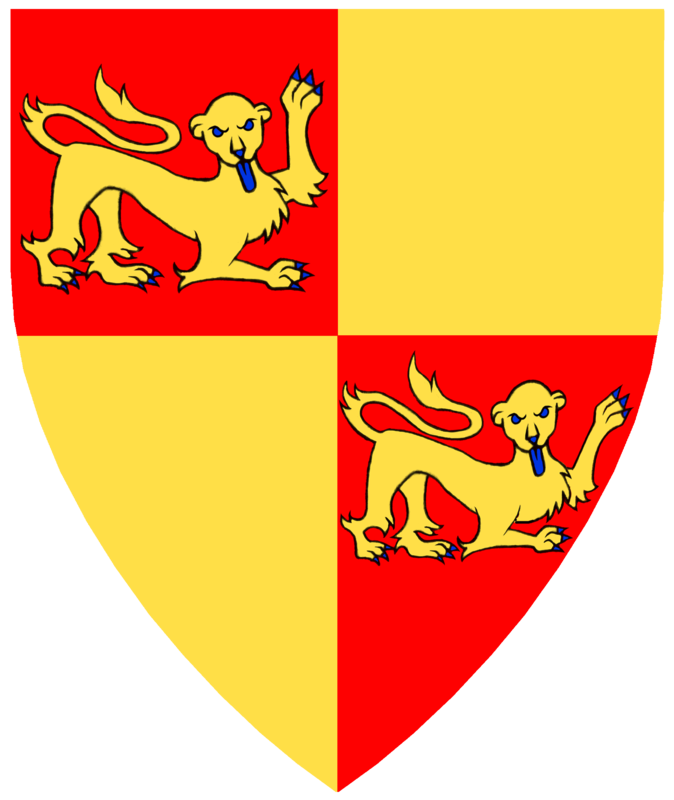 The following is a roll of arms for Poore House. 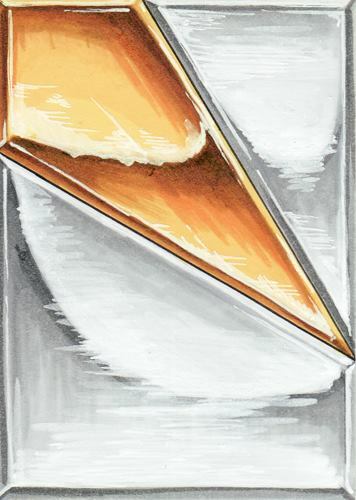 If you are a member, please contact Cormac to be included. 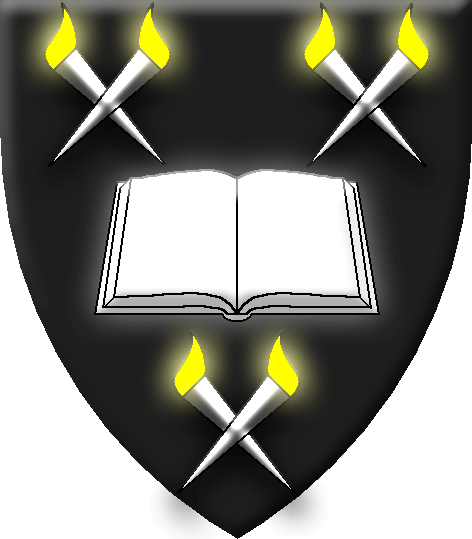 (Lord Poore) Per fess with a right step Or and argent. 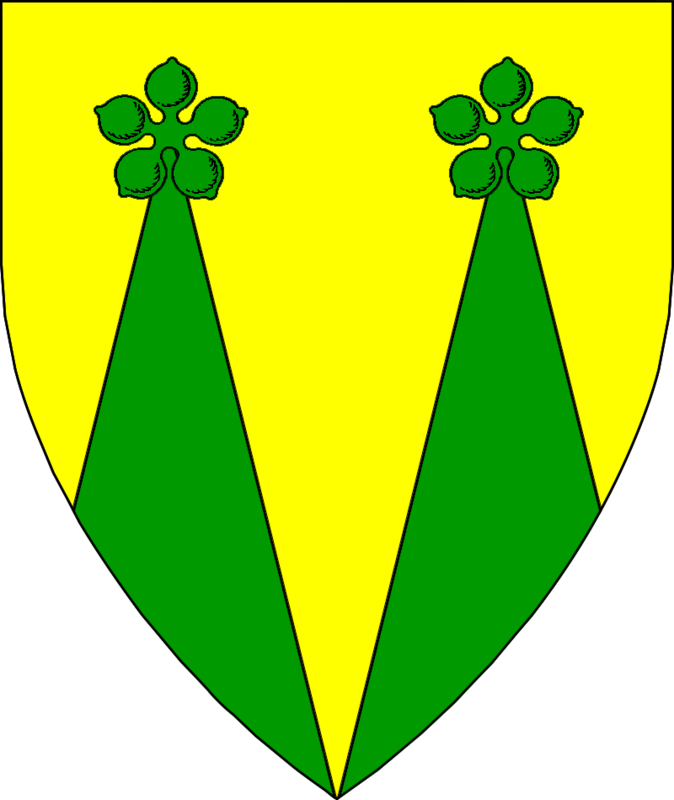 Angharat Goch verch Gwenhover Quarterly gules and Or, two catamounts passant contourny guardant Or. 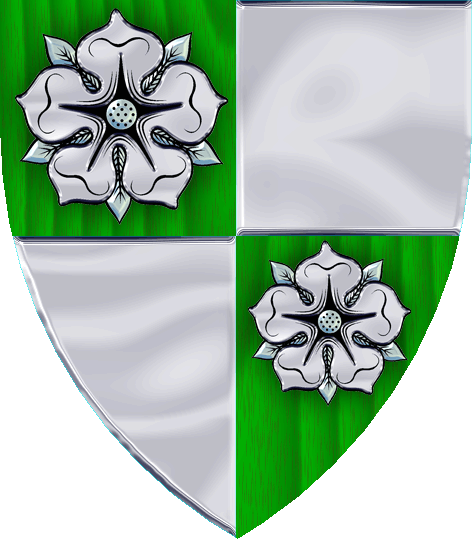 Catrin ferch Maelgwn Quarterly vert and argent, two roses argent. 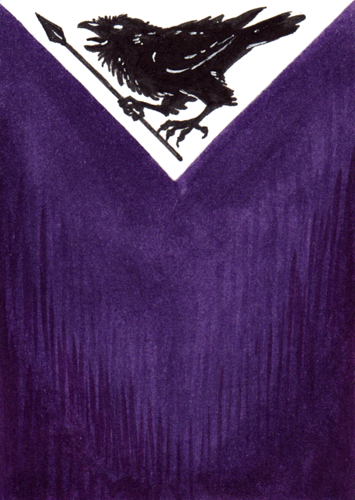 Ciothruadh Dubh Purpure, on a chief triangular argent a raven maintaining a spear sable. 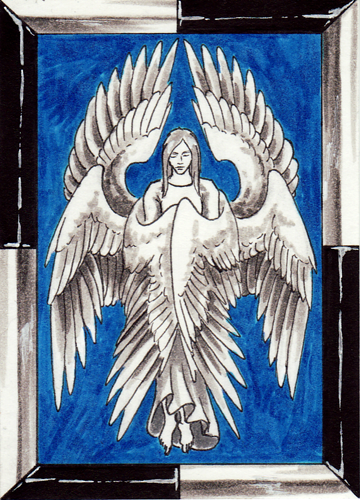 Konstantia Kaloethina Azure, a standing seraph argent, a bordure gyronny argent and sable. 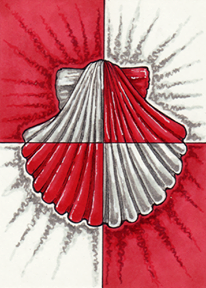 (friend of the house) Quarterly gules and argent, an escallop counterchanged. 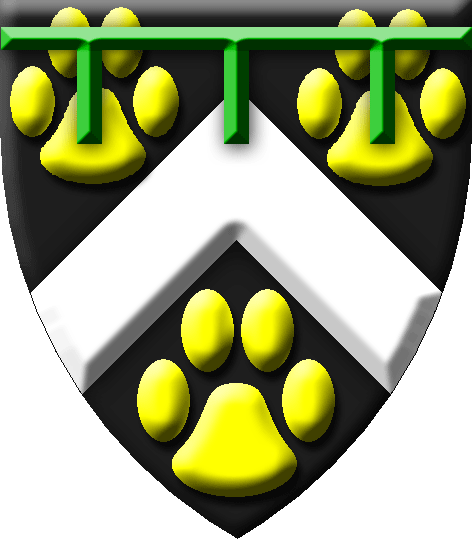 Mhari ni Padraig Sable, a chevron argent between three pawprints Or, overall a label vert. 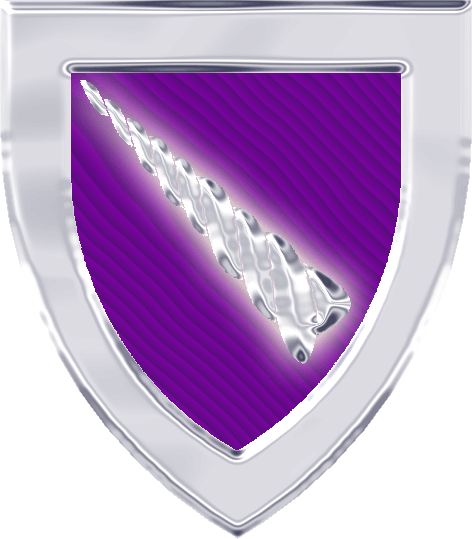 Nem of An Abhainn Rua Purpure, an alicorn bendwise within a bordure argent. 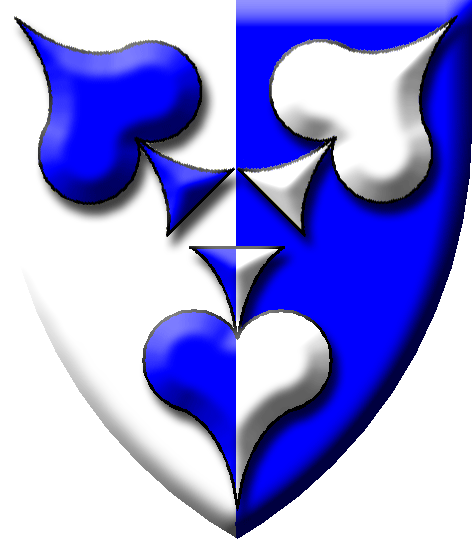 Sabyna of Aydon Per pale argent and azure, three card piques in pall bases to center counterchanged. 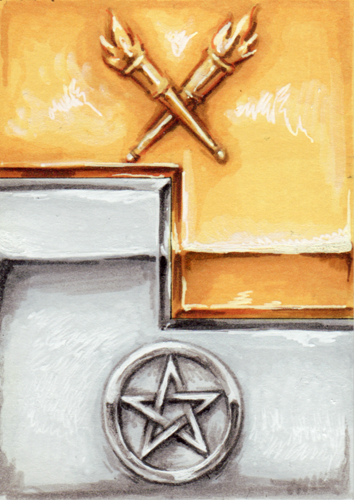 Talan Tanki Or, two piles inverted each tipped with a cinquefoil pierced vert.